JIPMER 2018 admission will be managed by the Jawaharlal Institute Postgraduate Medical Education & Research, Puducherry. JIPMER University is one of the famous Institution in India, which offer education in the field of medical. The University organizes JIPMER 2018 MBBS entrance exam to get admission to the MBBS programme for 200 seats. 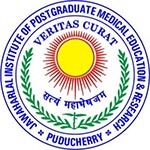 These programmes are offered by the JIPMER Karaikal & Puducherry. In this article, we have mentioned the complete details about JIPMER 2018. The exam conducting authority will release the JIPMER 2018 Application Form through online mode only. Candidates will get the application form from the 4th week of March 2018 till 1st week of May 2018. There is no other mode to fill the JIPMER application except online mode. Candidates can fill the JIPMER Online application form carefully, no changes will be allowed after the form submission. Keep the printout of the filled application form for further reference. The application fee is Rs. 1000 (Rs. 800 for SC/ST category candidates). The fee can be paid via online mode only (Credit card/Debit card/Net Banking). OPH candidates are exempted to pay the application fee. NRI & OCI candidates can also apply. Age Limit: Candidates must have completed 17 years in the admission year, i.e. 2018. Relaxation: There is no relaxation for reserved categories in age limit. Qualifying Exam: Candidates have to qualify 10+2 or equivalent examination from a recognized board. Subjects: Pass the above examination with Physics, Chemistry, Biology/Biotechnology subjects. Minimum Marks: Candidates must secure at least 50% marks (GEN), 40% marks (OBC/SC/ST/OPH) & 45% marks (GEN OPH) in PCB subjects. Mode of Exam: The exam will be organized through online mode. Language: The question paper will be asked in English & Hindi language. Type of Questions: The question paper will be objective type. No. of Questions: 200 questions will be asked in the examination. Marking Scheme: For each correct answer, one mark will be allotted to the candidates. The syllabus of JIPMER MBBS Exam will be comprised of Class 11th & 12th Subjects. The syllabus is prescribed by the CBSE & State Board. The questions will be come from the subjects Physics, Chemistry, Biology, Logic and Quantitative Reasoning, English and Comprehension. Candidates can download their JIPMER 2018 Admit Card through online mode from our website. The admit card will be available from the 3rd week of May 2018. No admit card will be send through offline mode or by post. The JIPMER Hall Ticket 2018 will contain details of the candidate & exam center such as the name of the candidate, date of birth, venue of exam center, date & time of exam, photograph, etc. The JIPMER 2018 Result will be released on 3rd week of June 2018. Candidates will be able to view their JIPMER MBBS result through online mode. On the basis of the percentile & marks secured by the candidates in the examination, the merit list will be prepared. The authority will prepare a separate merit list for different categories. After the declaration of the result, the counselling will be started through offline mode. JIPMER 2018 Counselling will begin from the 4th week of June 2018. The counselling will be conducted in four rounds. Candidates have to go through Biometric finger print and image verification before appearing for the counselling. Candidates have to produce their original documents at the time of counselling process. Candidate’s documents will be verified during counselling. The seat will be allotted to the candidates on the basis of the merit list. If you have any other query about JIPMER 2018, you can ask your query in the comment box.